Adar Gandelsman is an Israeli model and beauty queen who crowned Miss Universe Israel 2017. 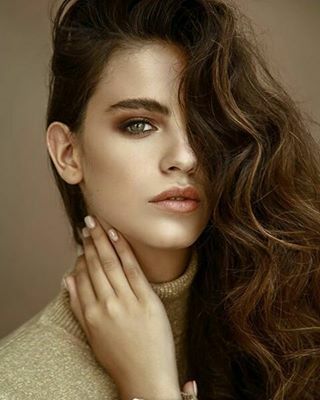 Adar placed second in the Miss Israel 2017, and represented her country (Israel) at the Miss Universe 2017 pageant in Las Vegas but did not place. Born on December 5, 1997 in Ashkelon, Israel, to Brazilian-Jewish parents Azril and Ana, her parents moved to Israel, from Recife, Brazil in 1997. Adar is fluent in English, Portuguese, and Hebrew. *She was born on December 5, 1997 in Ashkelon, Israel. *Her parents are jewis- brazilians, but she was born in Israel. *She competed at Miss Universe 2017 pageant in Las Vegas but did not place. *She speaks English, Portuguese, and Hebrew fluently. *She served as a member of the IDF ground forces. *She volunteers at a variety of organizations one including a non-profit Israeli organization named Varaity that works with children with disabilities.